Want to rock the same footwear style as top pro players Roger Federer and Eugenie Bouchard? Here at Tennis Express, we think that’s a phenomenal idea because the Nike Zoom Vapor 9.5 is an impressive update of a shoe that was already pretty great! While the women’s version is designed in a way that is specific to the female foot, the Men’s & Women’s Zoom Vapor 9.5 technologies shoes are the same so we are going to focus on those technologies using pictures from both. The upper part of this shoe features adaptive fit technology with lightweight specs so you won’t have anything bothering your foot or weighing you down as you play. It features improved durability in the tip and medial side. Its Phylon midsole features the incredibly thin Nike Zoom unit in the heel that brings the foot closer to the ground and provides lightweight and responsive cushioning. This shoe was designed with speed in mind, so its lightness makes it easy for you to move and not feel burdened by clunky footwear. 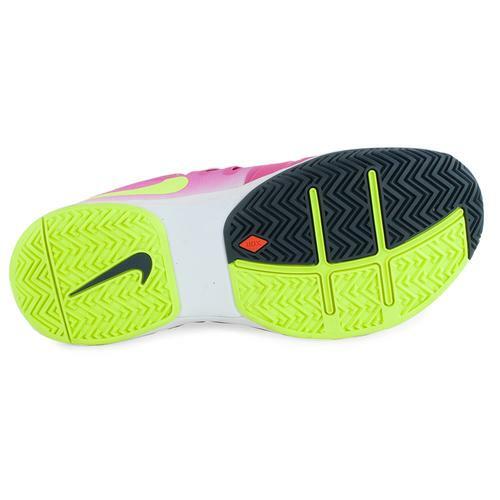 The outsole utilizes XDR rubber which stands for “Extra Durable Rubber” and can be found on all Nike’s top of the line shoes. 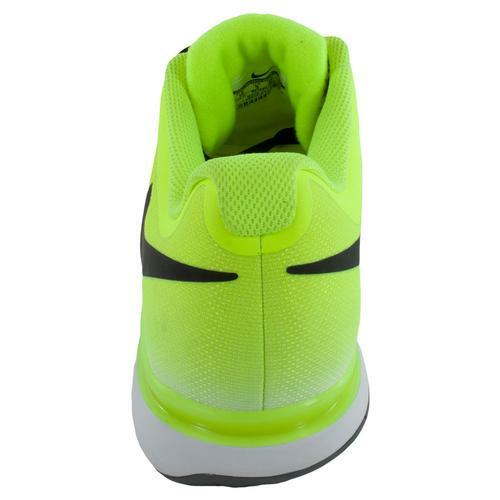 It makes sure you get the most out of your shoe and offers increased traction so you can run and cut confidently. Aside from getting all the benefits of high-performance technologies, this shoe sports bold and bright colors to help you stand out in style. The new February 2015 color is featured above! 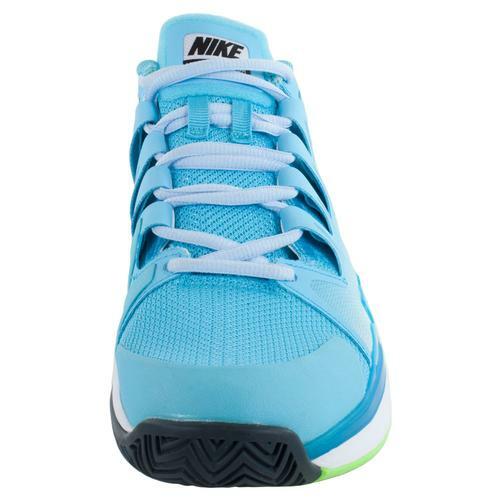 Shop Tennis Express now for all the latest designs in your favorite brands including Nike! Don’t forget to check out our other blogs for more information on shoes, racquets, apparel, etc. !